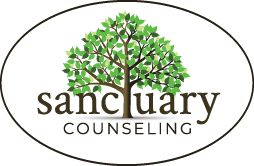 Workshops | Sanctuary Counseling, LLC. Save $15.00 when you register for our complete 3-part Spring Expressive Arts Series! Words are powerful. Words can also be limiting. For many, tapping into the expressive and creative arts is a way to communicate where words fail to reach. We recognize and believe in the healing power of the arts, and have dedicated a large portion of our home to an art studio. Here, you will be free to explore and express your inner self with the support of therapists and teachers. Are you a looking to dip your creative toes in the studio waters? Are you someone who is looking for a meaningful way to spend time creating with others? Are you hoping to find a creative “boost” and focus on a short term project? Whatever you’re looking for, our Expressive Arts Workshops are a wonderful way to spend a few hours creating, exploring, and finding meaning. You are unique, and so is your story. Via our Expressive Arts Program, you can explore and work through emotional, social, spiritual, and behavioral issues while identifying your strengths and experiencing new creative insights. Whether you consider yourself naturally creative (or not), the emphasis of this work is process – not product. You will be encouraged to explore your responses, reactions, and insights throughout your expressive work. We integrate a wide range of creative processes that promote growth, discovery, and wellness. Together, we can harness the expressive arts to help you seek meaning, clarity, and healing. Our Expressive Arts Workshops are held every third Saturday of the month from 12:00pm–2:30pm. Our next three events for the Spring will be held at our Douglassville location. You can also check out some of our biweekly counseling groups and upcoming retreats for more opportunities to connect with our community. *These are adults (18+) only and alcohol-free events. Winter’s quiet days of introspection and huddled comfort prepare us for the beginning of a new season marked by endless possibility. Our Winter time of rest resets and renews our sense of self, providing a fresh landscape waiting to be imbued with our vision for the future. Alas, we need only explore, prepare and tend along the way. Channeling our vision into inspired expression that we create in the material world is a powerful way to manifest our intentions. During this workshop, we will practice the art of transforming vision into action and ultimately a perceivable and tangible symbol of our personal intents. String art is the delicate process of weaving string around deliberately placed posts to create an image. Much like our personal development and growth, this expressive art takes time and focus, with lots of little loops and turns along the way. We will provide a variety of designs for you to choose from, as well as various colored string to personalize your piece. Lastly, we will explore techniques for empowering ourselves for sustained personal development, implementing and integrating new life practices, and the power of guided visualization. As we move deeper into the Spring season and continue to manifest our intentions, it is important that we pay close attention to the details, stopping to appreciate each petal and acknowledge our progress while maintaining focus on our larger vision. During this workshop, we will be using the Japanese art of Origami to create elaborate flower designs. We will then delicately adhere the individual flower pieces to fashion a freestanding, 3D origami flower ball. Each petal is a representation of each day, step, or action taken between our original envisioning and the materialization of our intents. When acknowledged individually as essential parts to the larger whole, the string of efforts we put forth fill our lives with meaning and accomplishment, a true testament to this beautiful process of becoming. Lastly, we will explore methods of remaining engaged in the present moment, meditation techniques, and coping with challenges and tribulations in goal manifesting. Ah, the pinnacle of the Spring season! As we transition from Spring to Summer, we bask in the efforts of our growth process and begin to experience the embodiment of our vision. Our buds are fully formed petals of luscious flowers, our foliage healthy, happy and tall. We have made it – rejoice! Our visions and the manifestations of them that we experience now are precious. Like all precious things, our role in their preservation is integral to their longevity. Maintenance is a key and ongoing process to all growth and the cornerstone of this transitional time of year. During this workshop we are going to be assembling miniature succulent gardens in glass terrariums using real succulents! We will have a variety of succulent species, terrarium inclusions and terrarium designs to personalize your miniature garden! Lastly, we will discuss plant and terrarium care, explore and develop individualized self-care routines, and introduce low-impact yoga poses and flows for beginners.